days. An outbreak of flu was a contributing factor. detention centres in the UK. pursue. We continue in close contact with the detainees. 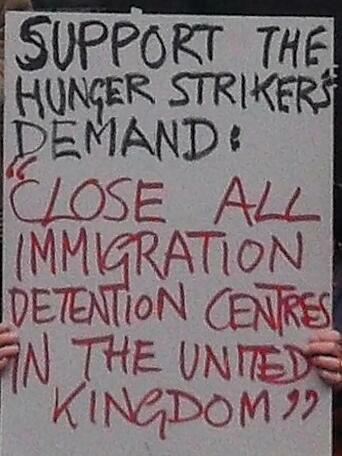 This entry was posted in Campsfield News, News, Protests and tagged campsfield, detention, hunger strike, protest. Bookmark the permalink.